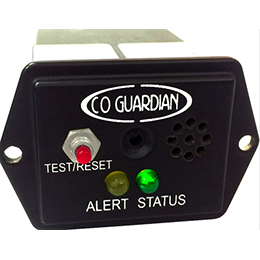 The CO Guardian 353P-201 remote mounted Carbon Monoxide (CO) detector is designed especially for the experimental and homebuilt aircraft market. A compact and lightweight unit mounted in small area behind the panel, the 353P-101 combines highly accurate CO detection for the cockpit as well as cabin pressure warning and the ability to display on an external unit (see hardware list). 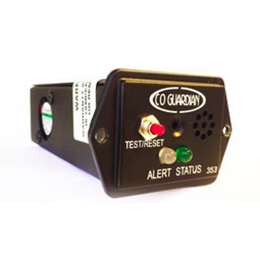 This CO detection unit is perfect for builders and pilots looking for protection from the dangers of carbon monoxide in their experimental, homebuilt, or non-certified aircraft as a remote unit with integration to display on an existing PFD, MFD, or engine monitor system. The included RS-232 serial connection allows added CO level reporting and alerts to be displayed on a variety of Primary Flight Display (PFD), Multi-Function Display (MFD), and engine monitor products. Please refer to the approved product list below. The compact and lightweight CO Guardian 353P-201 will fit into a small 2.25 inch by 1.5 inch position in a remote location using the included mounting bracket and weighs only 3.5 oz. Installation is very simple and takes only 2-4 hours on average. 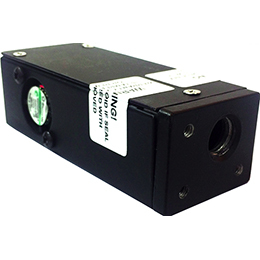 The 353P-201 remote mounted unit requires the installation of an external annunciator light (sold separately) for primary CO alert and warning. 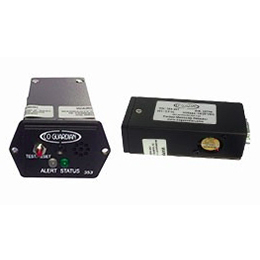 Additional reporting and alert on an approved product (see list) is allowed through the RS-232 serial connection. Installation requires the positioning of an included test/reset momentary button in the panel for safety and functionality.